.Website Domains - The perfect top-level domain name for absolutely anything! Make your mark on the web with .WEBSITE domain names! .Website domains, available now from just £16.49 per year. Expand your domain portfolio with .website domain names, the new competitor for .com! Create memorable web addresses with new .website domain names. 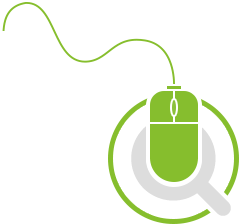 .Website provides an affordable, simple, tech-related top-level domain name. A true alternative to .com domains. Register cheap .website domains today. Register .website: The perfect domain name type for anyone and everything. The .website domain extension is the perfect domain name type for everyone and everything when it comes to the world wide web. Due to the generic nature of the new .website domain name, it is expected to rival even the most historically common and popular domain names such as .com and .org domains. Dot website domains are also perfect for the webmaster whose website's subject matter is so niche that other domain types just don't cut it. Part of the beauty of .website domain names is that they are available to anyone, for anything - there are absolutely no registration restrictions on .website domains, so whether you're an individual, a small start-up business or a large multi-national organisation or company, when using a .website domain name, you are only limited by your imagination. 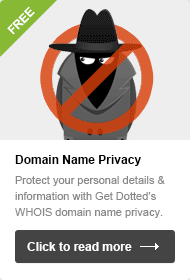 When you register .website domain names with Get Dotted, you really can make your mark on the world wide web. 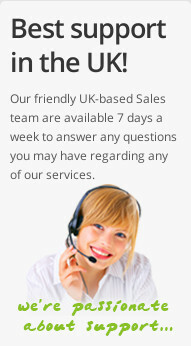 We'll even throw in our range of free unlimited services including our free easy-to-use InstantPro homepage website builder to get you up and running in no time. What can I do with a .website domain? The possibilities with .website domain names are limitless. You could use your new .website domain name to create a business website, start your own personal blog or create a user-friendly website directory. With such a generic domain extension, registering a .website domain name is the easy part, deciding what you do with your new .website domain name is the hard part as the options and possibilites are endless. The new .website gTLD is rapidly growing in popularity, so why not take advantage of this domain extension before your chosen .website domain name gets snatched up. To begin taking advantage of this new domain extension, search, find and register your .website domain name using the search box below. Your website visitors will have no problems remembering your website address with a .website domain name (your-domain.website), so don't delay, register a short, sweet and memorable .website today with GetDotted.com. Where & when can I register .website domain names? You can register cheap .website domain names immediately, right here at GetDotted.com! Simply type your chosen new .website domain into the search box below to check if your domain is available. 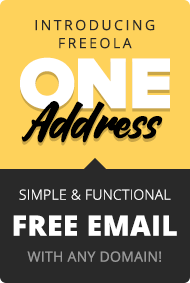 Remember, with Get Dotted Domains & Freeola Internet you won't just get your new .website domain name, we'll also throw in free unlimited email and website hosting with our great free unlimited hosting offer. Our brilliant offers don't just extend to your new .website domain registration either. When you come to renew .website domain names (or any domain type for that matter), you'll save 10% on your domain renewal if you opt-in to receive renewal reminders by text message, and a further 10% if you choose to auto-renew, so don't delay, search for .website domain names with Get Dotted today.